I reviewed this kit with AndyC last week. 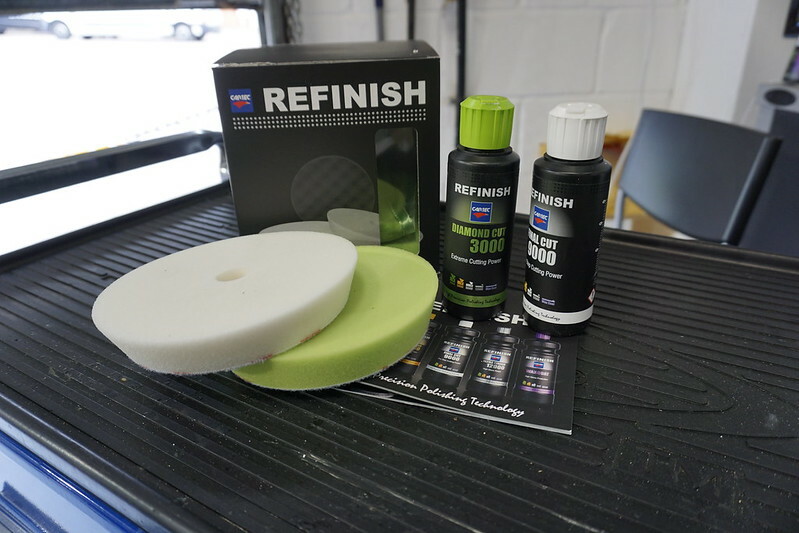 Thanks to Dan at Cartec for sending this Refinish Starterpack for review and apologies for the delayed feedback. Cartec is a new brand to both of us and we were interested to see how it compared to polishes we regularly use when detailing. The kit is supplied in an attractive box and includes the following. 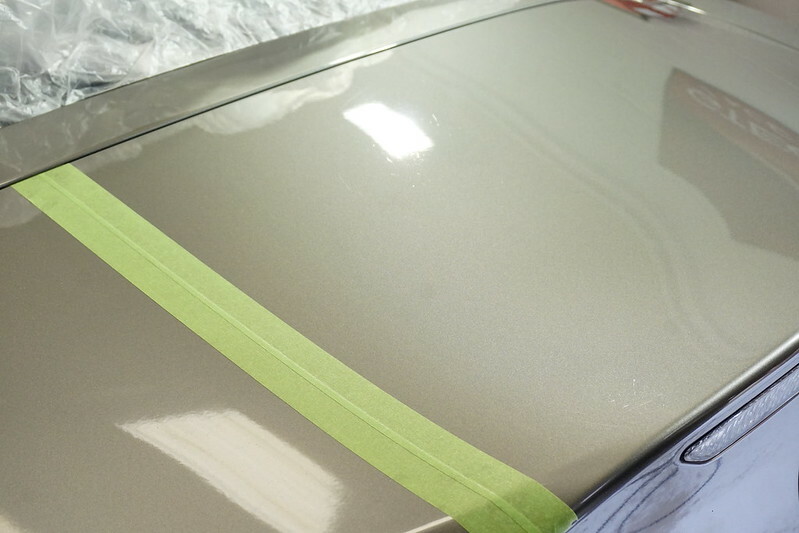 ~ On Final Cut 9000 "high precision "one step" technology, leaves a superb high gloss finish, perfect removal of minor scratches and swirl marks. Excellent results with orbital machine. Ideal for detailers"
~ On Final Cut 3000 "extreme fast cutting compound. High performance on hard and scratch resistant paints. Fast removal of (sanding) scratches. Short polishing time, saving time and money. Easy clean up. Exclusive high gloss finish"
The polishes, pads and towels are colour coded and we observed that the green towel had a longer pile than the white (finishing) towel. We like this feature as it makes the system easy to follow. The test vehicle is a 2003 BMW Z4 in metallic grey with reasonably heavy swirling. 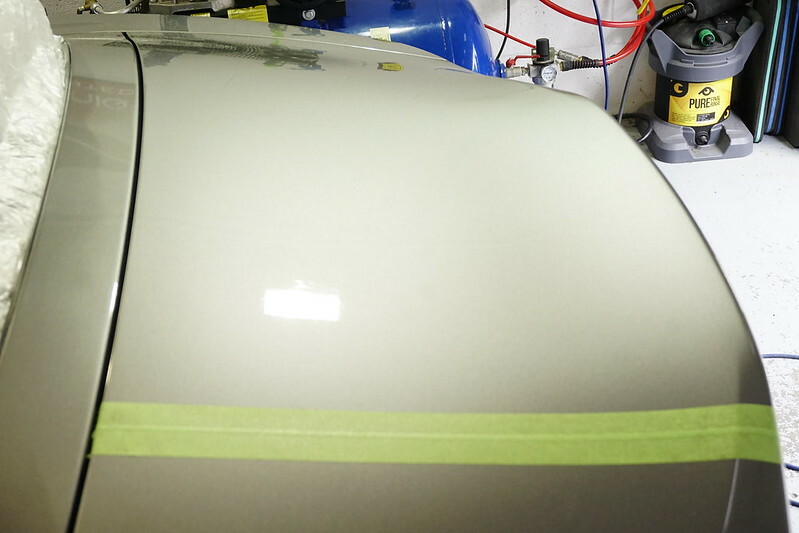 We used the Flex XFE 7-15 150 random orbital polisher and started with the 3000 polish. 2 pea sized blobs were applied to the pad and worked initially at medium speed to spread before increasing to just below maximum speed to work the polish. 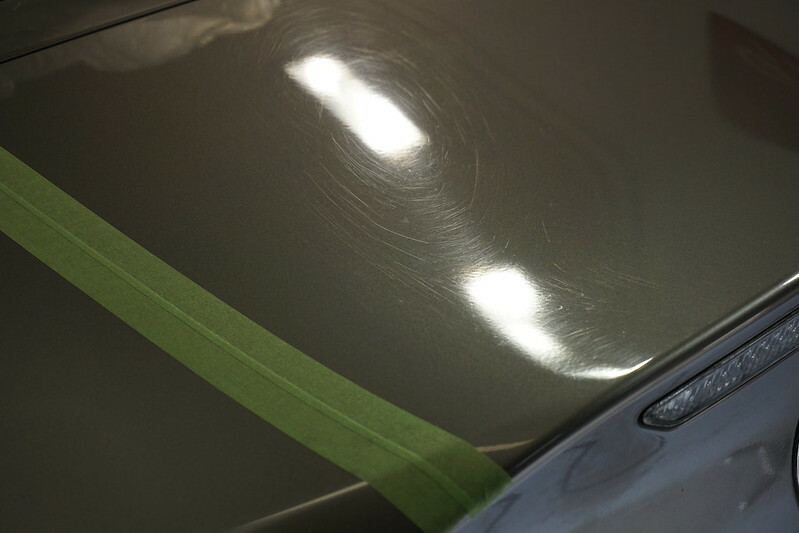 The residue was removed using the green towel leaving a much improved finish. We then refined using the 9000 on a white pad at slightly lower working speed and removed with the white towel with the result that the gloss and clarity were greatly improved. We particularly liked the ease of removal for both polishes and relatively low dust levels from the 3000 when cutting. Some deeper marks remained but we know that this panel ideally requires wet sanding to perfect and we wouldn't expect a marked improvement using the other cutting compounds we routinely use. We found the kit online for £29.95 which we believe is good value for money when compared with other polish and pad kits available. This is a solid offering from Cartec. Both polishes work really well, are easy to use, good value and overall the kit is well packaged. I would certainly use it again. Cartec have produced a very good pair of polishes which perform exactly as described when used with the paired pads and without any obvious drawbacks or negatives we could see during the testing. The final point worth noting is that we wiped the panel down with Spies Hecker PW after the test and could see no signs that either polish filled so we regarded this as major plus.